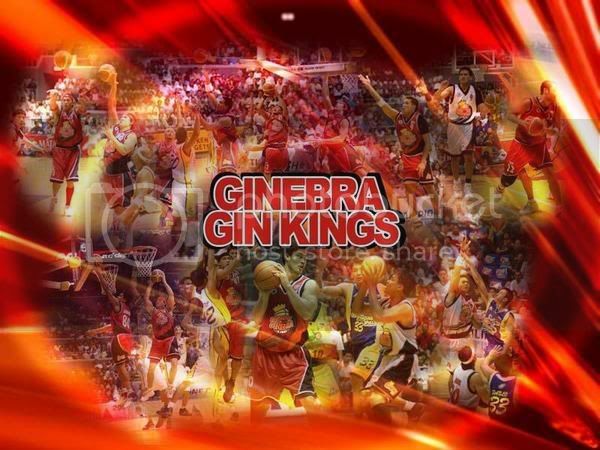 Me, Myself and I: Gin Kings is the Champ! The Barangay Ginebra crowd were rejoicing yesterday night after the final game for the Smart-PBA Fiesta Conference held in Araneta Coliseum. It was really an intense game for both of the teams. Ginebra started off with a lead against Air 21 despite that Mark Caguioa was injured. Come 2nd Quarter, Air 21 managed to stay close to Ginebra and even take the lead for awhile. Turning point is the 3rd Quarter where Eric Menk showed what he is made of by making 18 points for the Gins. He showcased his talent at this quarter making him the MVP of the conference together with Ronald Tubid who had his fair share throughout the series. On 4th Quarter it was a do-or-die moment for Ginebra since one by one their players started to have injuries. First is Juntie Valenzuela followed by Chris Alexander. After some time, the latter came back to the game and managed to be of help till the very end (take note, he had 5 personal fouls at this quarter) . Truly it was a dramatic moment for Ginebra. They won the championship without the help of JJ Helterbrand who was considered the Best Player of the conference. Plus the fact that their players got injured in pursuit for the title.